Royalty-free stock illustration of a little girl with blue eyes, blonde hair and a ponytail, wearing VR glasses and holding a controller while playing a video game. 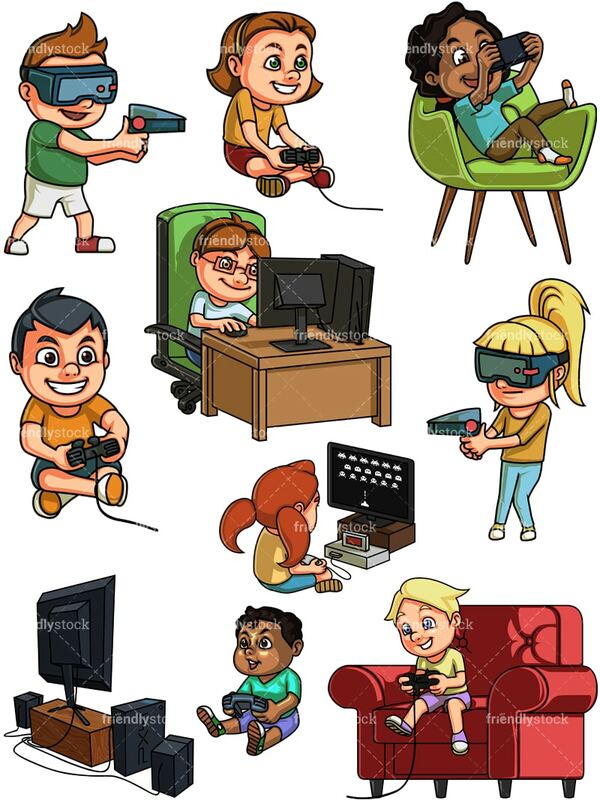 Royalty-free stock illustration of a little boy with brown hair and blue eyes, wearing VR glasses and holding a controller while playing a video game. 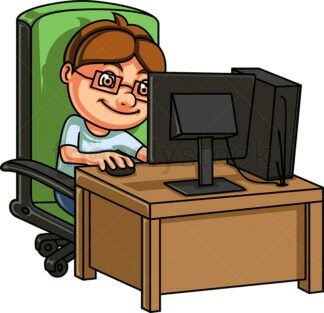 Royalty-free stock illustration of a nerdy little boy with brown hair, wearing glasses, sitting on a chair and smiling as he plays video games on a computer. He is quite the gamer! 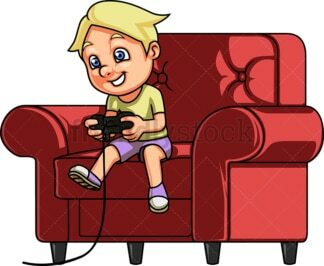 Royalty-free stock illustration of a blond little boy sitting on a red lounge chair, holding a console controller and smiling as he plays a video game. 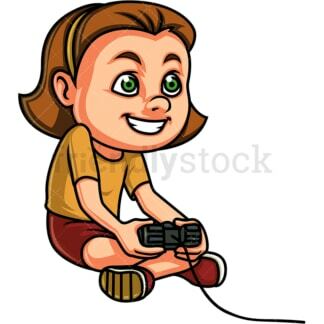 Royalty-free stock illustration of a cute little girl with brown hair and green eyes, sitting on the floor, smiling and holding a console controller as she plays a video game. Royalty-free stock illustration of a little boy with dark hair, grinning while he holds a console controller while playing a video game on the TV. Royalty-free stock illustration of a little girl with red hair sitting on the floor and playing a classic arcade video game that looks like Space Invaders on a vintage console. Royalty-free stock illustration of an African-American little girl with dark curly hair, brown eyes and a low ponytail, sitting on a green lounge chair and enjoying a video game on her handheld console. 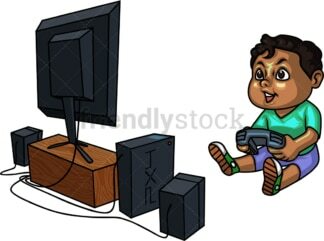 Royalty-free stock illustration of an African-American little boy with dark curly hair, sitting on the floor, holding a wireless console controller and playing a video game on the TV.